Apple today has released iTunes 10.5 Beta 9 ahead of Gold Master release which is expected to be available next Tuesday alongside iOS 5 GM. 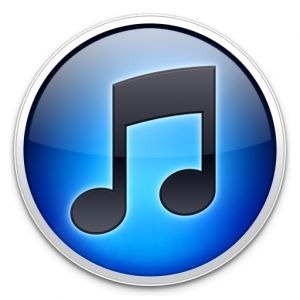 This release comes in after iTunes 10.5 Beta 8, which included enhanced support for the iTunes Match service, was unexpectedly released three weeks ago. According to rumors, both iOS 5 Beta 7 (the current latest seed) and iTunes 10.5 Beta 9 are the very last pre-release seeds of the software in question just before both products reach Golden Master status. For those of you who don’t know, "Golden Master" is the designation given to a developer-only seed that will then be made available to the general public if no major issues are found. As with any pre-Golden Master build, some last-minute bugs should have been squashed, although we haven’t yet had the chance to try out iTunes 10.5 Beta 9 at the time of this writing. As eager as you might be to get your hands on iTunes 10.5 Beta 9 right now, keep in mind that this is a developer-only build, therefore it’s only available to those with an Apple developer registration. Sadly, this subscription is accessible to everyone willing to spend $99 per year and gives all members access to exclusive developer-oriented tools and documentation, as well as restricted seeds of iOS and iTunes. Don’t feel discouraged by the "developer" designation: the fact is that this subscription should be part of every Apple and iOS enthusiast’s arsenal. Needless to say that these restricted seeds always end up on popular file sharing sites within a few hours, but why not do right thing and get an Apple Developer Account? After installing iTunes 10.5 Beta 9, keep in mind that you’ll no longer be able to sync devices running earlier seeds of iOS 5: only Beta 7 will be supported. Therefore, make sure your device is first update, either over-the-air or through iTunes, before applying this update. iOS 5 is the upcoming new version of the operating system that runs on the iPhone, iPod touch and iPad, bringing many features that had been long awaited by users of all kinds to the table. The most prominent of those include system-wide integration with Twitter and an enhanced notification system known as Notification Center. iOS 5 is rumored to be scheduled for release next month.